Waiting for me to... commence a conversation, one can wait rather a long wait. Why See The King's Speech? With his country on the brink of another unfathomable war with Germany, King George VI (affectionately known as Bertie) is wracked with nerves as he steps up to address his subjects. Suffering all his life from a debilitating stammer, the public speaking expected of a monarch in the growing age of radio has Bertie on the back foot. Coupled with a responsibility he never expected, he must find his voice. Enter charismatic speech therapist Lionel Logue, an Australian with dramatic flair - and the man who's going to teach his King to overcome his problem, however unorthodox the treatment. Based on the true story of the unlikely partnership that flourished between Logue and Bertie, The King's Speech is recognizable to many as 2010's multi-award winning film starring Colin Firth and Geoffry Rush. But writer David Seider always envisioned his work on the stage, an ambition now realized by Chicago Shakspeare Company. 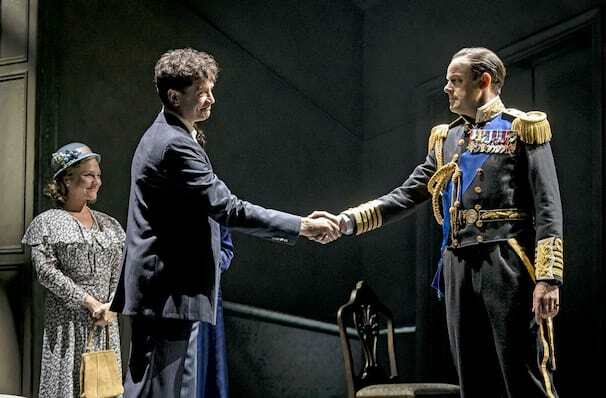 Opening their 2019/20 season, this much anticipated theatrical adaptation will once more explore the men's extraordinary friendship that outgrew the bounds of Royal and subject - and saw Bertie able to speak to his nation unimpeded. Seen The King's Speech? Loved it? Hated it? Sound good to you? 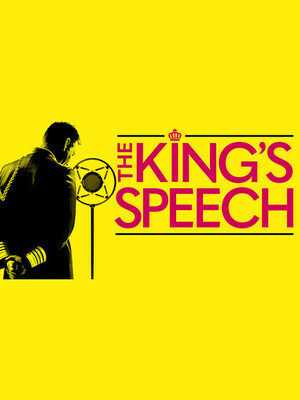 Share this page on social media and let your friends know about The King's Speech at Chicago Shakespeare Theater.